Home Uncategorized Light at the end of the Tunnel! REE are proud to have been awarded the certification and geotechnical assessment services for the Rocky Creek Dam tunnel plug. 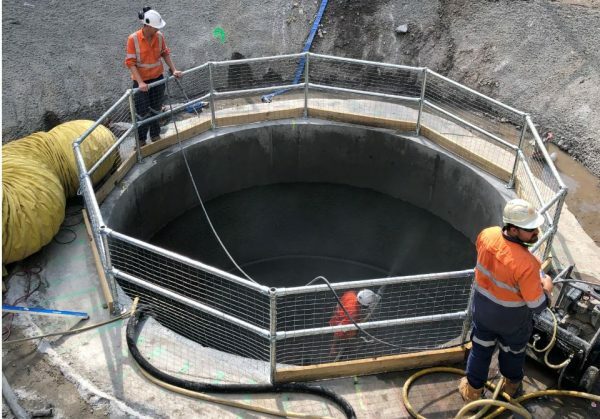 The project comprises the careful excavation of a new 20m deep tunnel shaft and access adit (horizontal passage for the purposes of access) to enable a plug to the existing Rocky Creek Dam tunnel. The works will be overseen by our Senior Principal Geotechnical Engineer Matthew Norbert who has over 25 years experience and specialises in tunnel design and construction. The REE team are looking forward to site visits on this project, with the works being located in the beautiful northern New South Wales Night Cap National Park. If you’re looking for specialist tunnelling design and construction support from a highly experienced and responsive team please contact us.